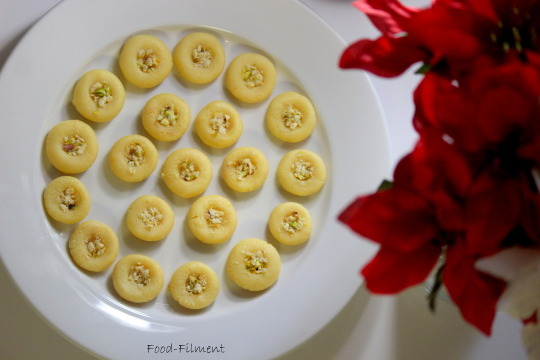 The festival of lights – Diwali is all about beautiful decor with lamps, diyas, firecrackers and not to forget the variety of delicious sweets and delicacies. 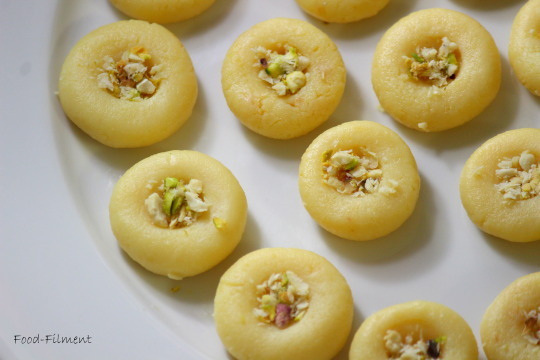 Here is a simple dessert which is easy to prepare for a nice Diwali get together- Mawa (Khoya) peda. Defrost Mawa either by keeping it outside for about an hour or using a microwave to defrost. If you are using the microwave to defrost make sure you cool it down completely before using it to make the peda. Once defrosted, crumble the mawa finely. Place a wide pan on medium heat, add the condensed milk and the mawa. Mix well and keep stirring till a dough kind of consistency is attained. Make sure you do not burn the mixture. Turn off the heat and allow the mixture to cool down. 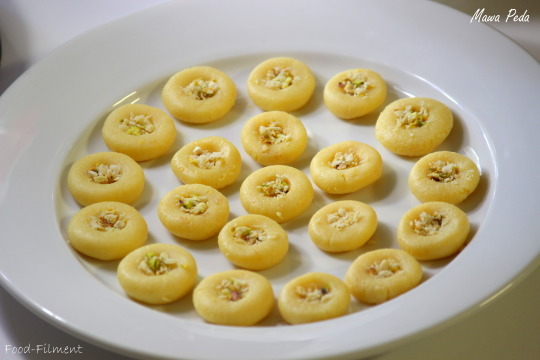 Once cool, grease your palm and make small bite size pieces of the peda mix with a small dent in the middle for garnishing with the dry fruits. 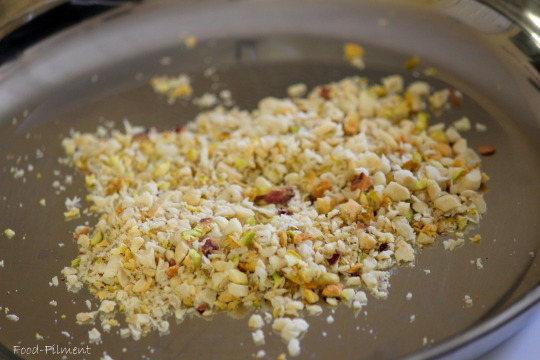 Add the chopped/ grated dry fruits mix in the middle. Allow it to set in the refrigerator before serving.